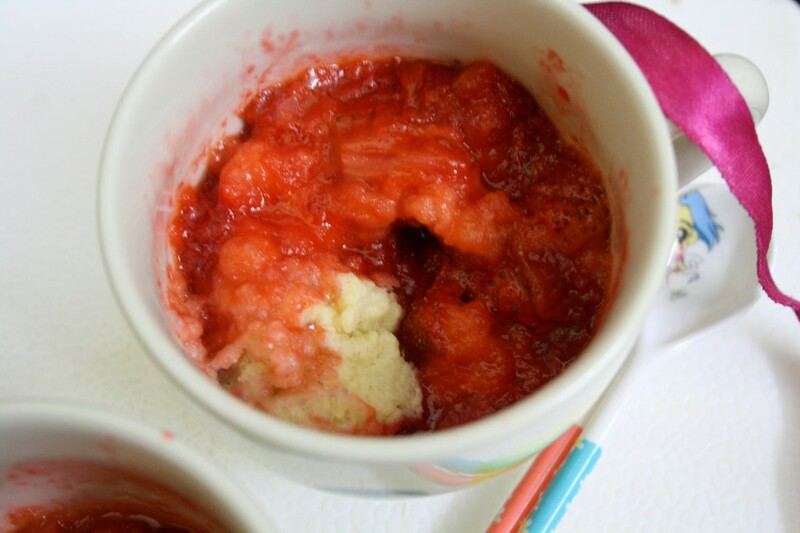 For the second day of Cooking in a Mug, I selected a cobbler dish made with fresh Strawberry. A cobbler is a dish popular in US and UK, made with a fruit or savory filling topped with a batter or a crust. The dish is baked and served as a dessert. While doing the international BM for last month, I selected some cobbler dishes, some crumbles. Seeing how Peddu loves strawberries, I decided to make this, It made a wonderful dessert, though getting used to strawberry takes some time. Wash and hull the strawberries. Chop into thin slices. I used three mugs. 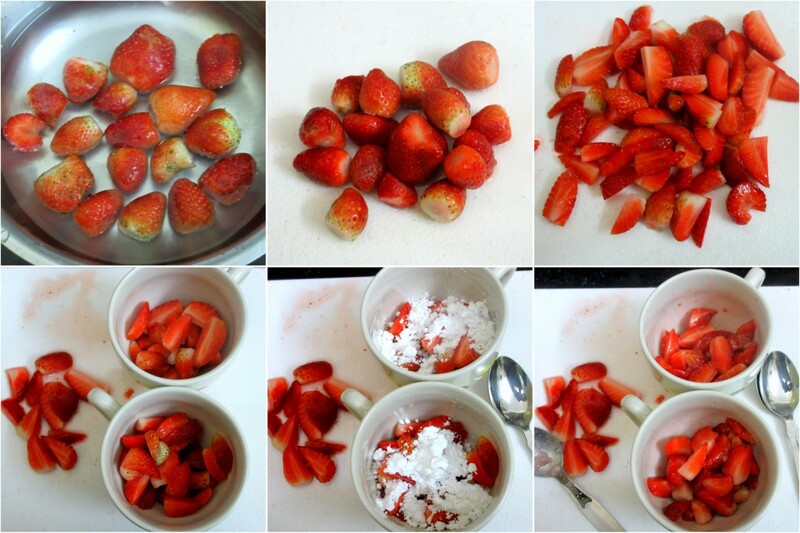 Divide your strawberries into your 3 mugs. Add the icing Sugar, mix well. In another bowl, add the flour, butter, baking powder, sugar. Crumble well. Add the milk and mix well. Top this flour mix over the strawberry and MW for a minute. Again MW for another minute. Let it rest and remove. Sprinkle icing sugar on top and serve. This joins my Anniversary Party for Kid’s Delight, celebrating 7 years of Spice your Life! I am so gonna try this sinful dessert .So tempting. You are tempting me to try this right away. I have strawberries at home but no butter. Hmm.. Yummy dessert. 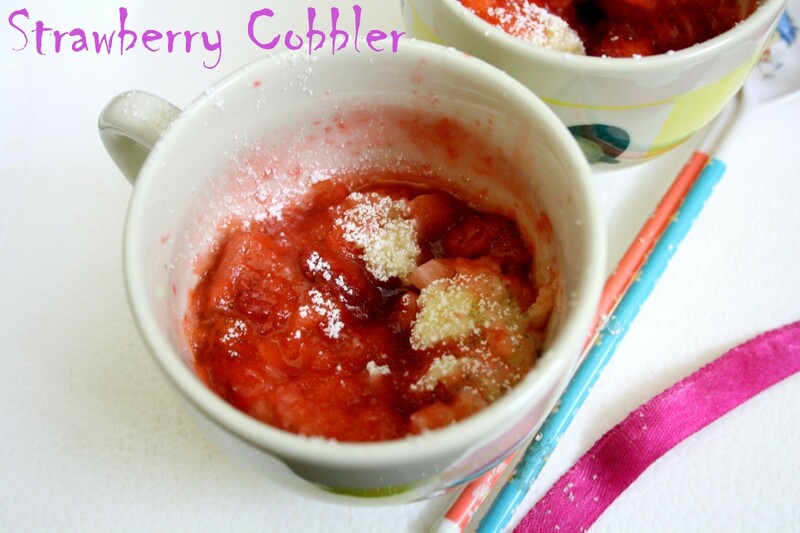 Its wonderful the way you use your MW and come up wirh these quick desserts . The cobbler looks tempting and strawberries have such a wonderful flavor . 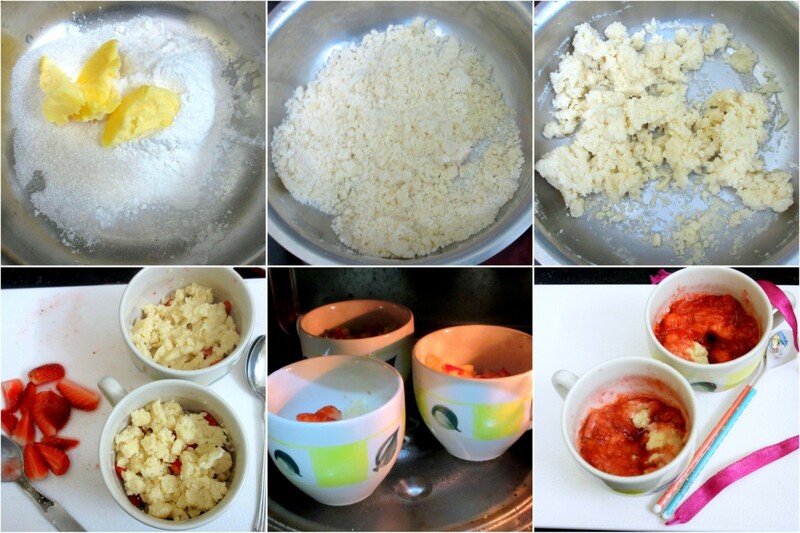 yummy and easy dessert…..love it……..
What a quick and easy fresh fruit dessert! Your single serving recipe looks delicious. Tremendous dessert, omg wish i have some strawberries at home..lovely pick. Love the colour! Looks beautiful! wow wow!!! that is super delicious… so tempting.. Simply love the vibrant color and looks so tempting! That is such an inviting mug cake with strawberries. Looks too good. Very colorful and looks very tempting too. 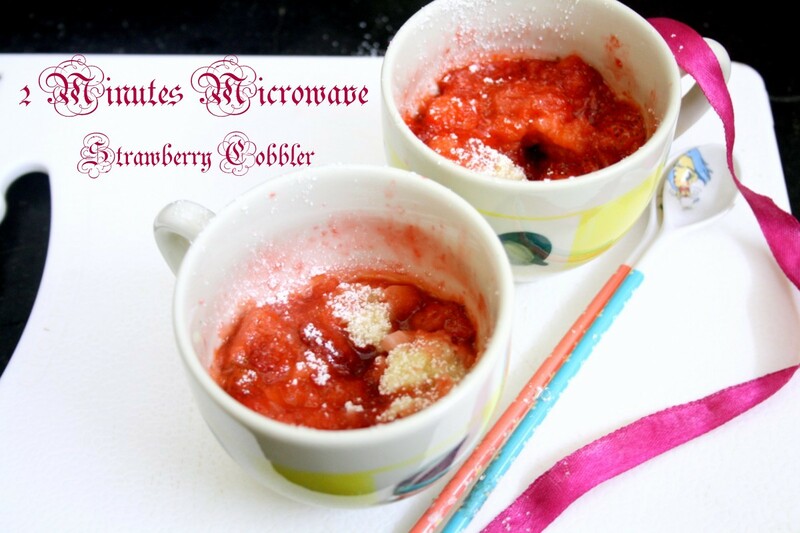 only you the mw queen can come up with this fab dessert..in a microwave! very attractive and yum cobbler..